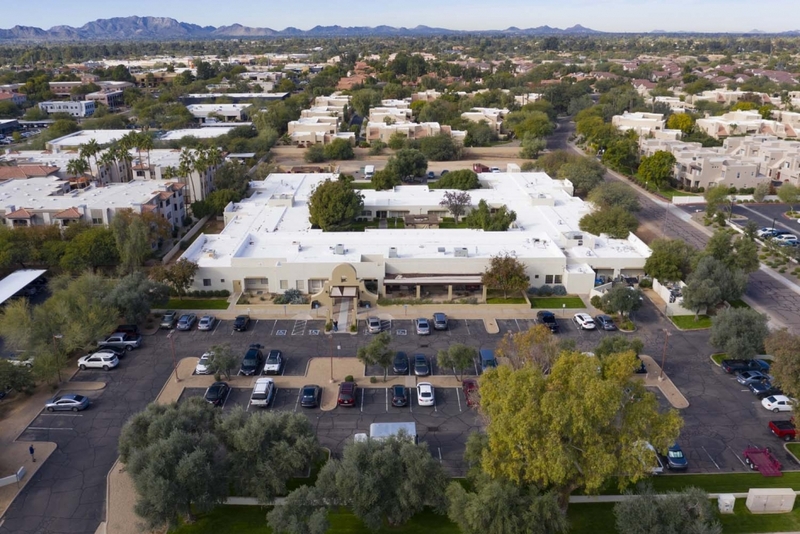 Shea Post Acute and Rehabilitation Center is a modern, state-of-the-art skilled nursing facility, conveniently located just blocks from Scottsdale Healthcare Shea campus, with proximity to many area doctors, Mayo Clinic, and Mayo Hospital. Easy access to the 101 Highway via Shea makes the facility easy to reach from anywhere in the Valley. We specialize in short-term rehabilitation services for those seeking transitional care from an acute medical facility to home. Shea PARC features 120 beds and large comfortable suites in either private or semi-private settings. Our professional staff creates a therapeutic environment to help you obtain your optimum recovery. Our tranquil interior courtyard boasts a grand fountain surrounded by rose gardens, and a large Ramada.